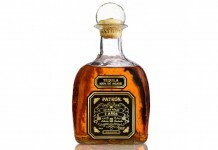 High end tequila isn’t anything new: there have been products like the $200+ Patron Gran Platinum Tequila in the marketplace for many years, but the enthusiasm for this space has seen a fairly dramatic shift. Earlier this year, Tequila Avion released Tequila Avion Reserva 44 which was the right product at the right time for the category. 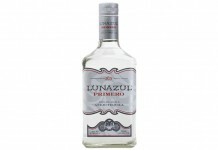 The excitement and media coverage over Avion’s Reserva 44 not only helped give a boost to existing products in the space like Don Julio 1942, it also pushed major companies like Patron and 1800 (owned by the Beckmann Family who also own Jose Cuervo) to revisit the ultra premium tequila category. Within weeks of Avion’s Reserva 44 launch, Patron called up its Gran Patrón Piedra Tequila from Duty Free/Travel Retail obscurity to become a full blow national product. Now, 1800 is following suit with 1800 Milenio Extra Anejo Tequila. Originally released in 2000 to celebrate the millennium, 1800 has brought Milenio back with a brand new bottle design, moving from the standard squat 1800 pyramid bottle to a tall, elongated pyramid much more akin to Don Julio’s 1942. In addition to the new bottle design, 1800 has updated Milenio’s price, moving it from $99 a bottle to $125. This time around 1800 is also aggressively marketing Milenio as “tequila for the whisky drinker”, a clear indicator of why the ultra premium tequila space has suddenly exploded. 1800 Milenio Extra Anejo Tequila (40% ABV / 80 Proof, $125) – as with the original 1800 Milenio, this re-release is made from extra-aged anejo tequila which has been aged for five years. This tequila was then finished in French oak ex-cognac barrels for four months before bottling. The dark amber gold color of 1800 Milenio shows off its long time in oak and is nearly identical to many major bourbons on the market. 1800 Milenio’s time in oak is also quite apparent on the nose which leads with strong old oak. Other key elements from its time in barrel are also clearly present on the nose including vanilla, almond, sawdust, and cinnamon. 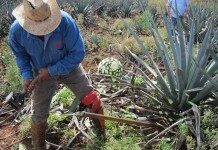 The underlining tequila notes are there including white pepper and roasted agave, but they are more supporting players to the barrel aromas. 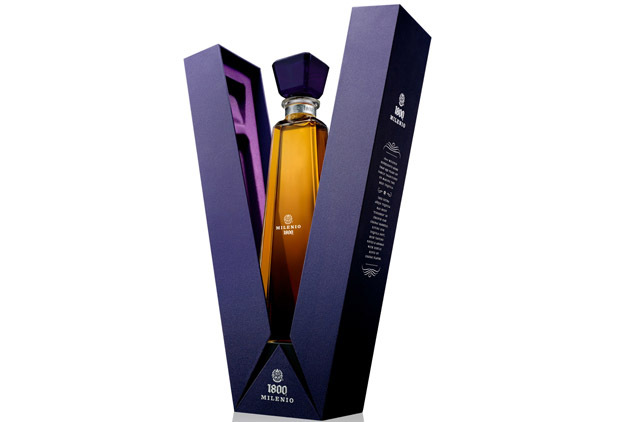 The entry for 1800 Milenio Tequila is very oak forward with many of the oak notes from the nose present on the palate, including cigar box, old oak, and sawdust. These oak notes are well supported by some underlining sweet notes including caramel, vanilla, and spiced cake. As things head towards the midpalate, the tequila’s vegetal character becomes more apparent with dill, white pepper, and roasted agave added to the mix. In the midpalate 1800 Milenio’s spicy character emerges with an increase in the pepper kick, cinnamon, clove, allspice, and dash of hot peppers. It’s here in the midpalate where the Milenio also starts to really dry out. The balance of oak and spice with the sweeter notes that was established in the opening is completely lost, and Milenio becomes just dry spice. The finish for 1800 Milenio is the most disappointing part of the taste experience. Things dry out so much in the midpalate that the finish is just too short and too dry. It’s a shame because this tequila establishes some really nice flavor notes at the entry, but isn’t able to maintain them through to the finish. What 1800 Milenio does well is present oak. The mix of oak flavors in the opening is quite enjoyable, with just enough supporting notes to find balance. 1800 also does a really nice job of integrating both the American and French oak notes into the equation, showing just how compatible and complementary the two wood casks can be. We also like how the base tequila notes intermingle well with the barrel impact. There’s some really nice complexity of flavor all the way up to the midpalate. Ultimately, 1800 Milenio just doesn’t finish what it started and the finish holds back what would otherwise be a nice extra-anejo tequila. Why 1800 boosted the price of Milenio from $99 to $125 is a mystery. At $99 this tequila, even with its finish issues, could have really undercut other products in this space. Consumers looking for Don Julio 1942 or Avion’s Reserva 44 might be lured into a lower priced 1800 offering, but at $125 it’s trying to compete against products that it can’t beat on taste. Pricing aside, it’s nice to see 1800 go after the ultra premium aged tequila space. People often ask us “What’s the next big thing in spirits?” and the movement here at the high end for tequila makes a very convincing case that the category is really poised to explode.